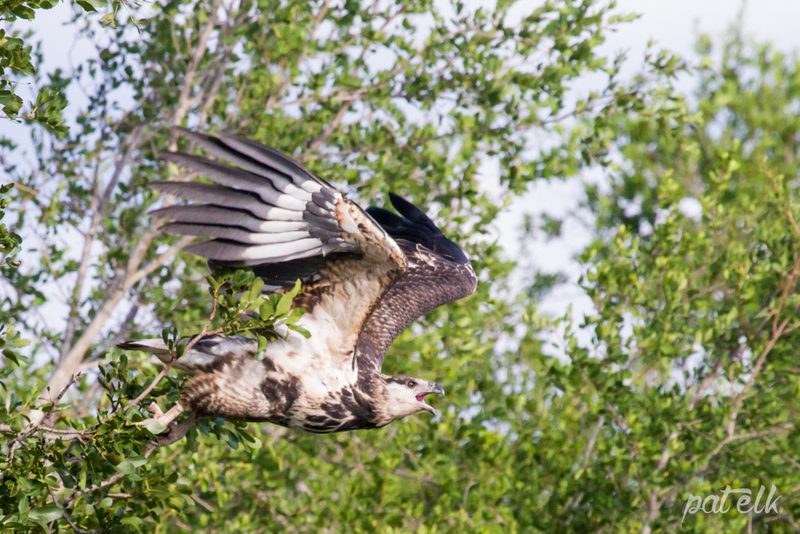 The Juvenile African Fish Eagle (Afrikaans name, Visvalk) takes 4 – 5 years to get the adult plumage. 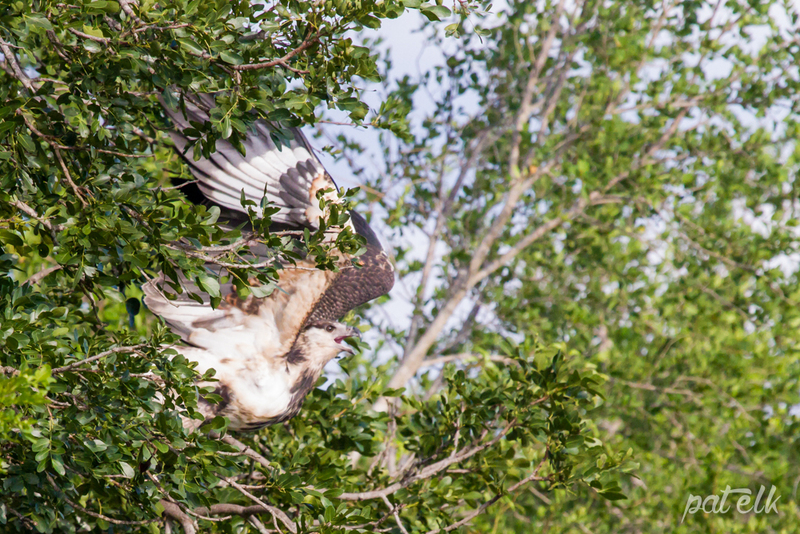 We first heard this juvenile as he sat in the tree screaming for the adult, which was sitting in an opposite tree. When he couldn’t get the adults attention he yelled harder and harder. 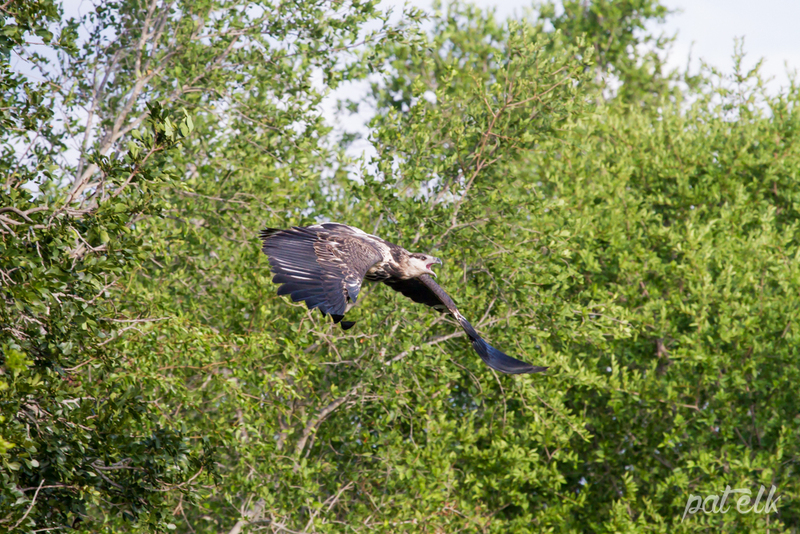 The Adult then flew out into the open with the juvenile then trying to follow. 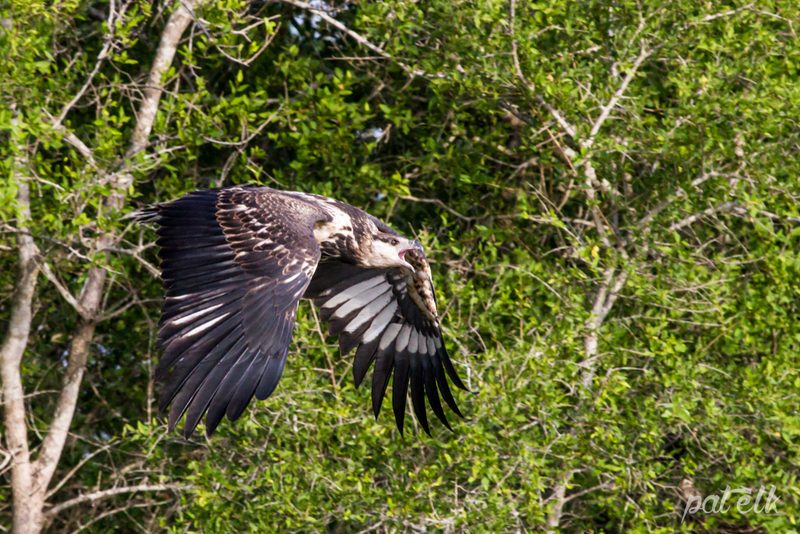 The adult Fish Eagle then started calling, that call of the wild that makes your heart sing, that call that sends goosebumps down your skin. What a glorious sound. 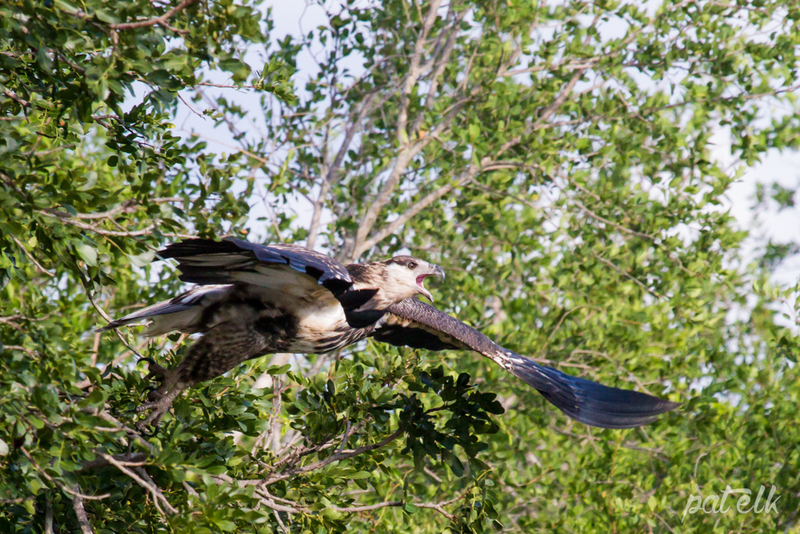 We were sitting in the hide at Lake Panic in Skukuza when we witnessed this and were amazed at how close these wild birds were. 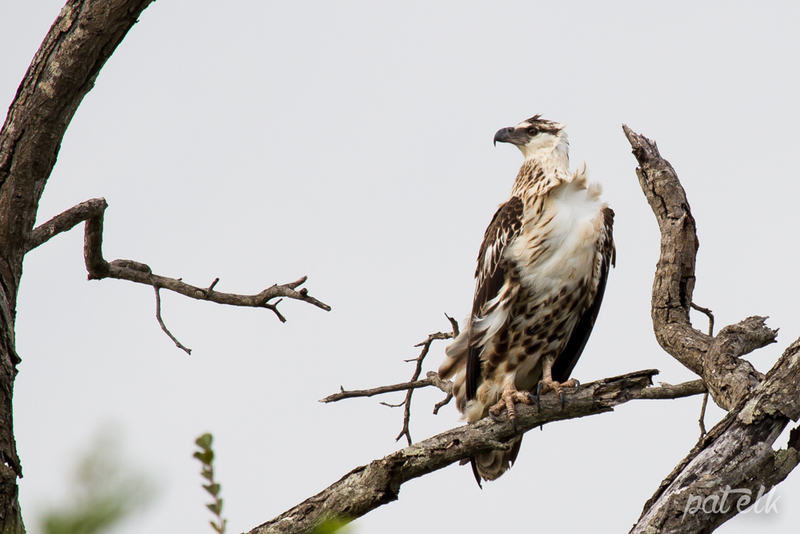 These are the kinds of moments that bring you back to the Kruger National Park again and again.